Simplifying your life looks different for everyone: it’s focusing on what’s essential to you and stripping everything else away. This could be in terms of physical things, how you spend your time, or what your thoughts focus on. From personal experience, I think there’s huge value to be gained from simplifying. 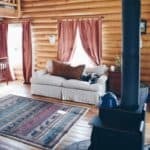 But my case is extreme: I moved from a large city to a small town, from an a large apartment complex to a small cabin, sold most of what I owned and quit my job. Simplifying DOES NOT have to look like that for you. 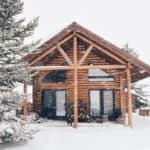 I simplified because my husband and I chose to move across the country from Austin, TX to Jackson, WY to an 800 sqft cabin. Life automatically became simpler when we left traffic, our belongings, and all of our usual day-to-day activities behind. We started over, and we started with less (less physical things, less things to fill our time), and our lives changed greatly because of it. 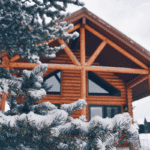 What Does Simple Living Look Like For You? 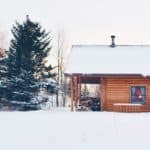 You don’t have to move to a cabin to simplify your life. 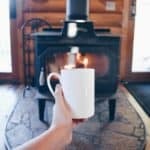 Whether you live in a small town or a big one, a tiny cabin or a crowded apartment — you can take steps to simplify your life. Simple living means cutting out the things that you don’t need. Usually, this means physical belongings and unnecessary uses of our time. Both of these things are easy to accumulate but harder to cut out. Why do we buy things we don’t need? One of the reasons is because they make us feel good. We envision ourselves wearing it or using it or showing it off — and we fall in love with the person we become if we buy it. It’s not the actual thing we need, but the feeling it gives us. If you stop buying things that you don’t truly need, you remove the feelings that those things give you. It’s not the expensive dress or latest phone etc that make you beautiful or smart or interesting. Those are just things — who you are as a person is separate from them. Simplifying what you own is one way to learn this. “What’s most important to me?” is a question that you have to ask in the process of simplifying. Because the things that aren’t at the top of that list get removed. By removing physical things or uses of your time that don’t add value, you clarify your priorities. Maybe you have accumulated clothes that you never wear. Or you spend a lot of time watching TV shows that are a mindless way to zone out, but you don’t really enjoy them. These may seem like small things, but in the grand scheme of your life they take up space and time. If your priorities shift to only owning things that you use or spending your time in ways that you enjoy – those two examples get cut out. In simplifying your life, your priorities will shift. The things that matter most make their way to the top of your priority list as you cut out the things that don’t. Part of why our lives are not simple is because we want to add things or activities to our lives in order to make the most of our time or money. And we define success as having money to buy things and filling our time with important activities. So when you simplify, you change your definition of success in the process. Success becomes owning fewer things instead of many. And sometimes it means aiming to have slower days instead of busy ones. 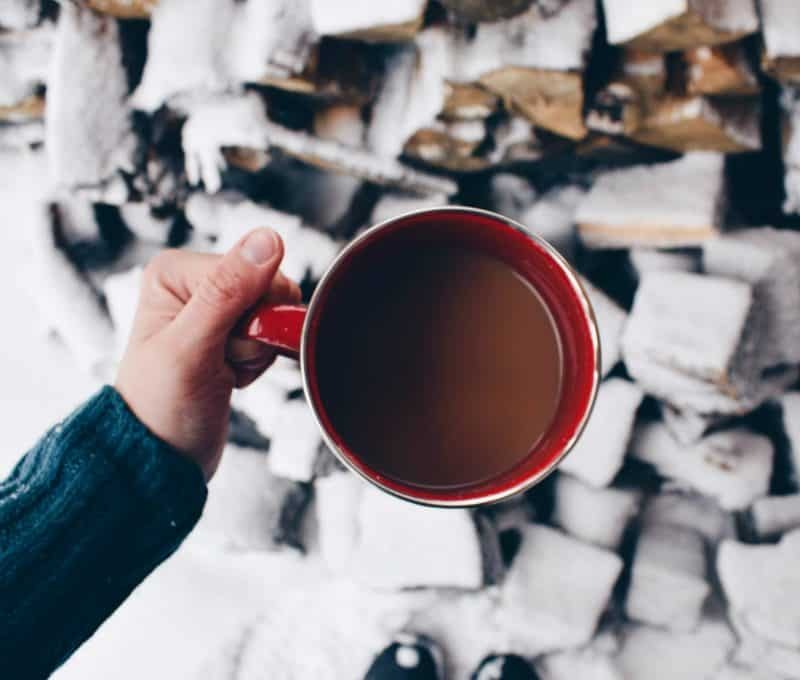 Simplifying your life doesn’t have to be an extreme act. It starts with a mindset shift, a re-focusing of how you want to spend your time, money, and energy. And in the process, these 3 things will start to reveal themselves in your life. What’s one part of your life that you can start simplifying today? Drop a comment below or let me know (@thecabindiary on social media) to share. You are wise beyond your years! What an inspiring post, thank you! Love this! My dad always says the more things you own, the more your things own you. And I have recently heard that the more things you own, the more time it takes to take care of them. I am absolutely on board with having more time instead of less—slower days instead of busy ones! Yes! I love that quote – “the more things you own, the more your things own you”… I think it’s super counterintuitive in our culture to think this way but I’m all for it as well!! 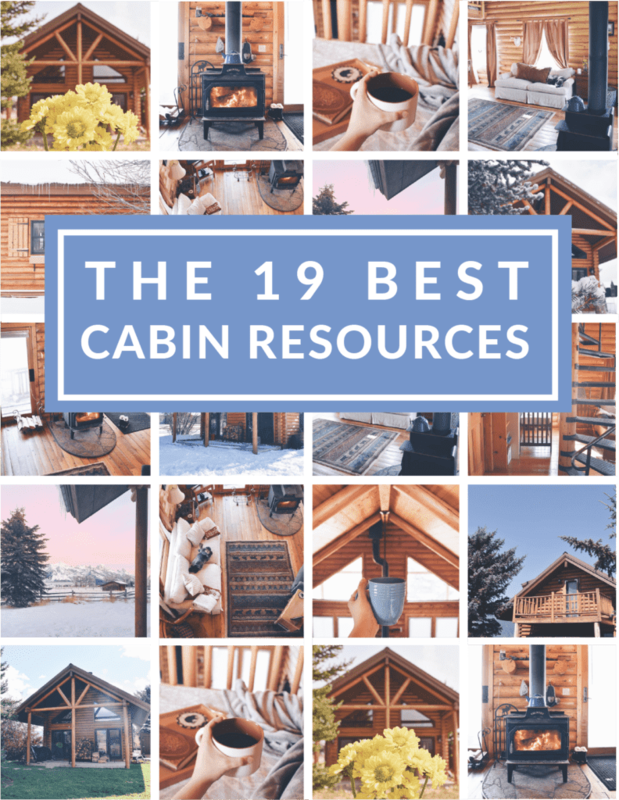 We were searching for a simpler pace of life, and found it in cabin living.